UNFPA participated at the World Health Organization meeting on improving maternal and perinatal health at the mother and child health clinic. 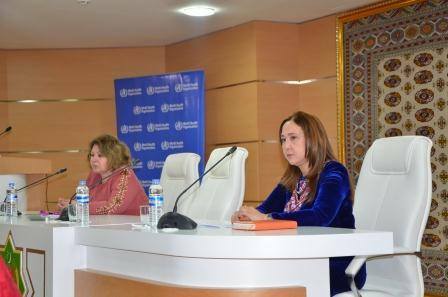 Here, the experience of UNFPA-supported piloting of the Audit of near-miss cases was discussed among the national partners from the Ministry of Health and Medical Industry and healthcare facilities from the capital and velayats. Near miss case is an event, where a woman develops a life-threatening complication during pregnancy or child birth and barely escapes death. In analyzing such cases, WHO-proposed methodology does not seek the guilty among the doctors, but seeks the cause of each case, which helps improve professional practice and care at the birth-giving facilities. Making motherhood safer is human rights imperative, and it is at the core of UNFPA’s mandate.